give your Sports Training an extra edge. Guidance Sports is a division and a brand of Guidance Education Technologies, Inc., a private U.S. corporation. Our development team is exclusively U.S. based and our operations fully compliant to the U.S. government regulations. Developing state of the art technology and pushing boundaries are in our blood. We are comitted to offering user the best personalized sports training experiences. 20+ mobile app releases to the general market with 10,000+ peak daily downloads. 40+ years software project management experience using agile to CMM models. our dry-fire training apps deliver quantifiable instrumentation level performance on your device*. AI integrated continuous monitoring & adjustment function delivers the best performance for your device. Our apps are engineered to deliver quantifiable accurate and precise results consistantly like an instrument. No manual adjustments, our one-button automated setup function lets you focus on the training. Real-time Auditory/Visual feedback to give crucial skill training information before the moment is gone. Everything you need for dry fire training is within reach now. Train at your own pace with confidence anytime, anywhere. Hit long range shots with realistic ballistics and varying conditions. This simulator is not a game. This app helps rifle shooters understand and practice the use of the mil-dot scope, and visualize how different conditions such as wind, temperature, and ballistic coefficients affect bullet performance. It also illustrates some of the challenges faced by long range shooters. This is a very accessible app that provides practice at home or on the go for shooters of all skill levels. Many of us can't get out to the shooting range as much as we want, especially for longer distance practices. 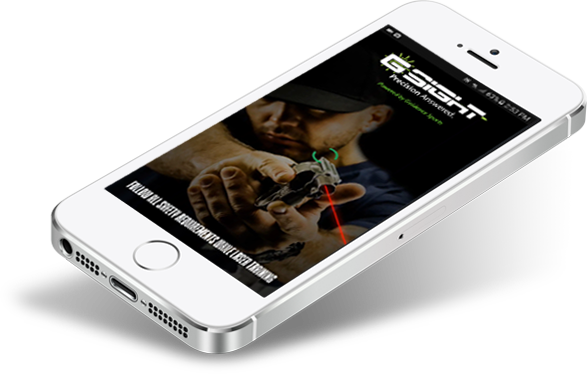 This app scales down targets to simulate long ranges so you can practice shooting skills at home. It works well if you have an IOTA trainer, which requires more light to work. in your next product development or training project. Utilize our experience in designing quality high-performance apps in your next project. Integrating our technology into your existing software may be surprisingly simple. Let us do the work to bring your vision to the final product with confidence. Use our technology to give your products and services an extra edge. We can assist in project triage and software upgrade/maintenance. Interested in Beta testing our product or getting the latest news first? ©2017 Guidance Education Technologies. all rights reserved.